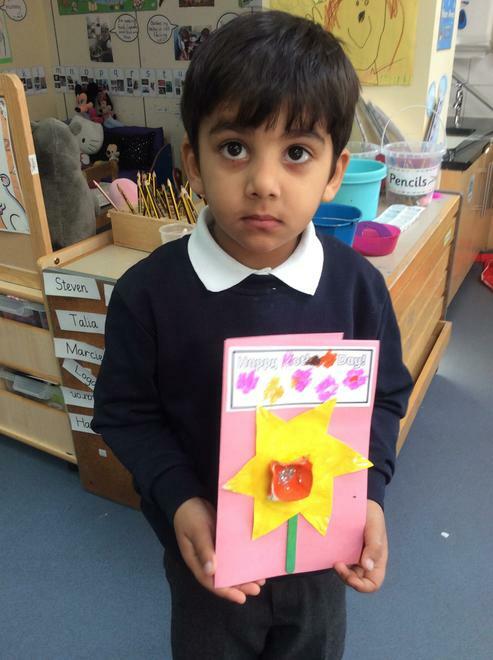 Nursery class watched videoclips of people praying in a church and a mosque to introduce the topic of prayer. 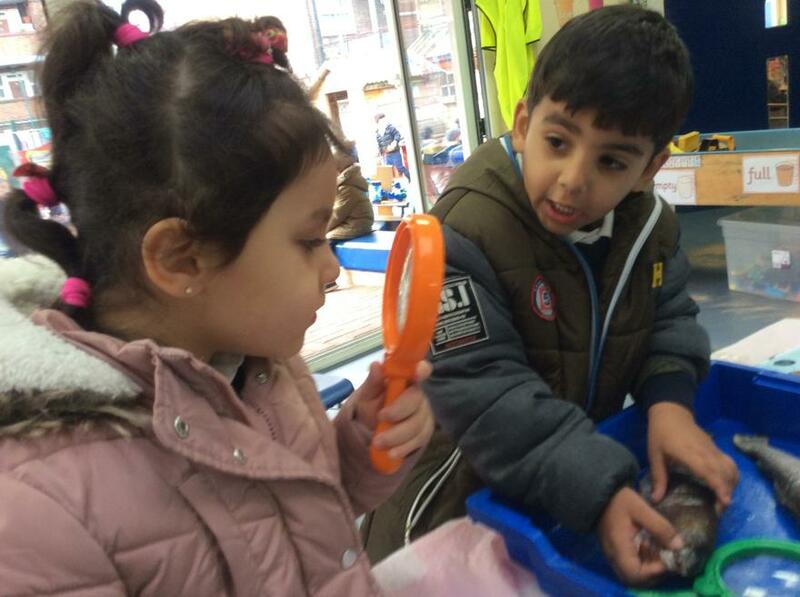 The children were invited to talk about their previous experiences. 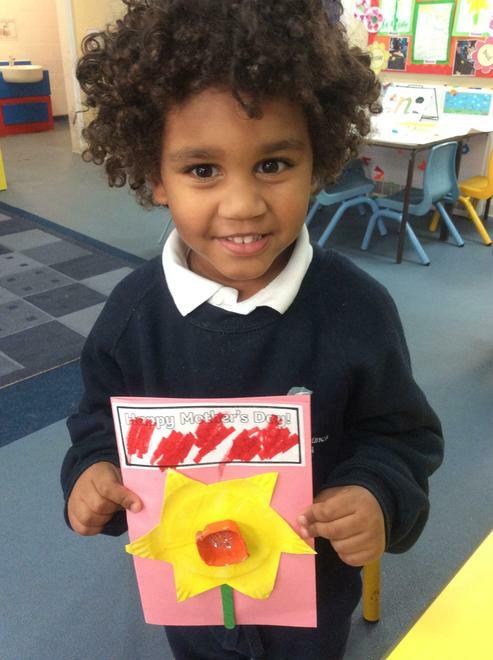 Then the children thought about saying thankyou to God and drew a picture of their family to represent something they were thankful for. 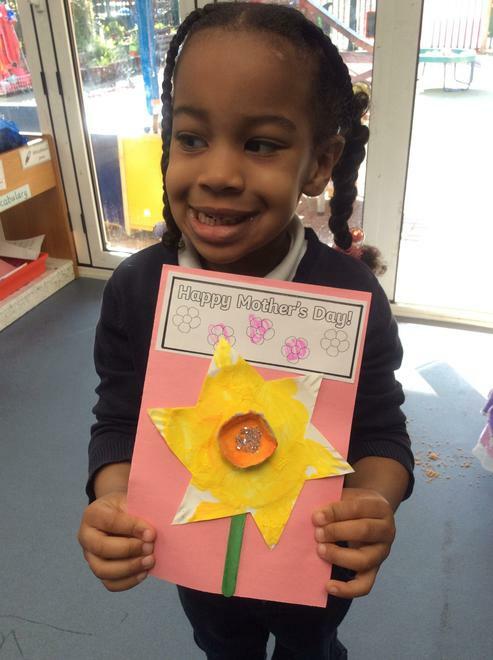 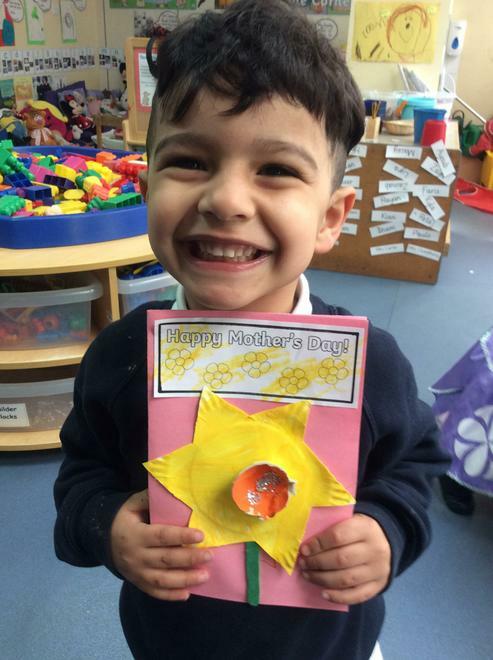 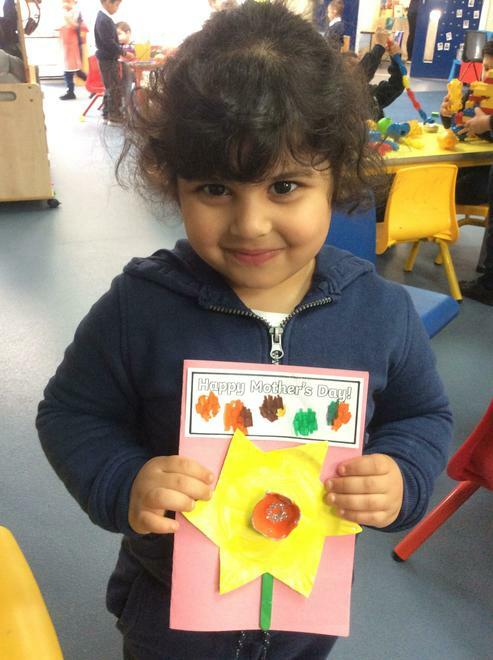 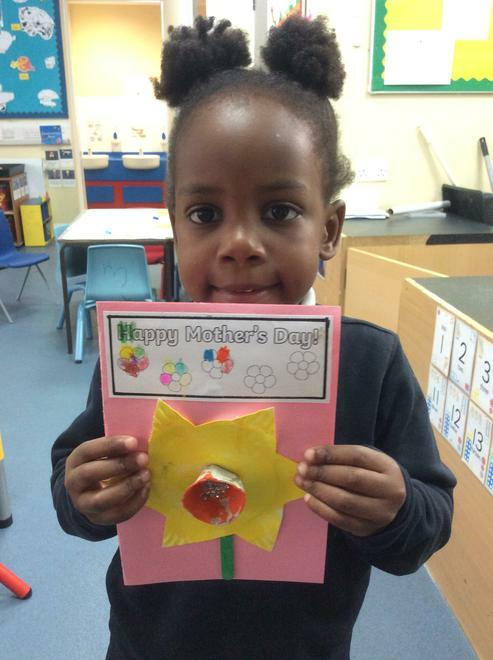 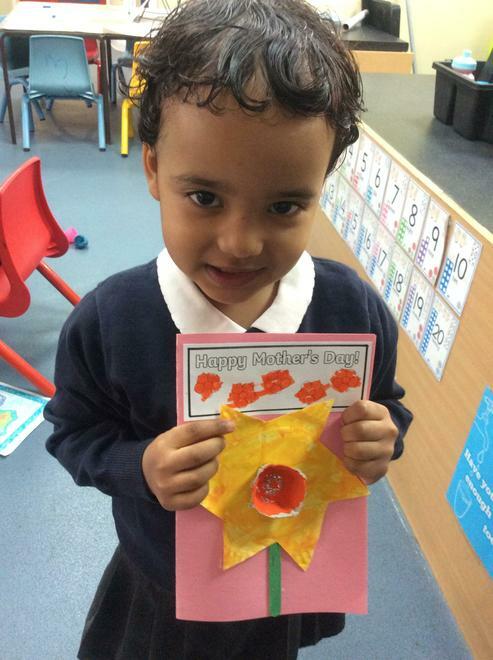 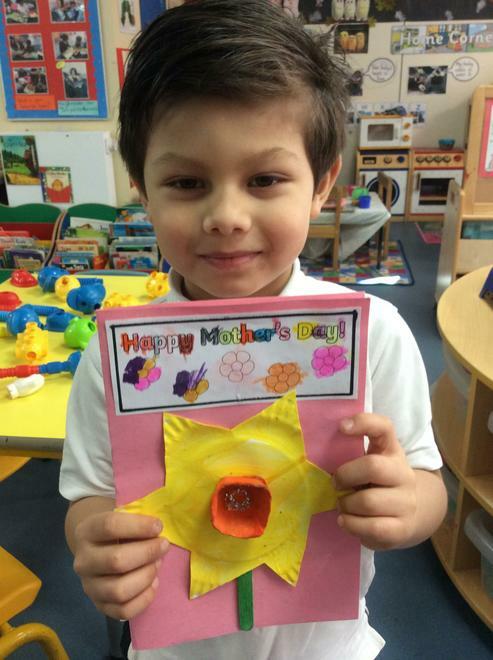 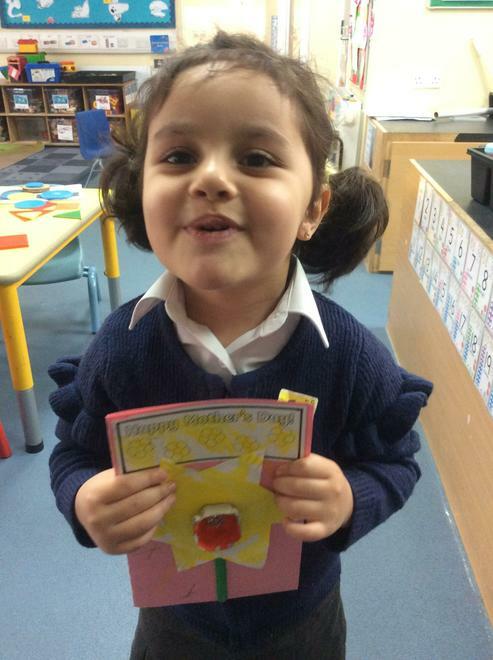 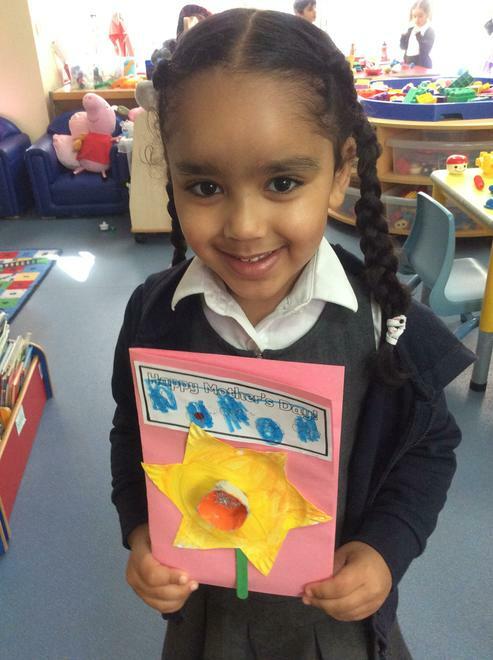 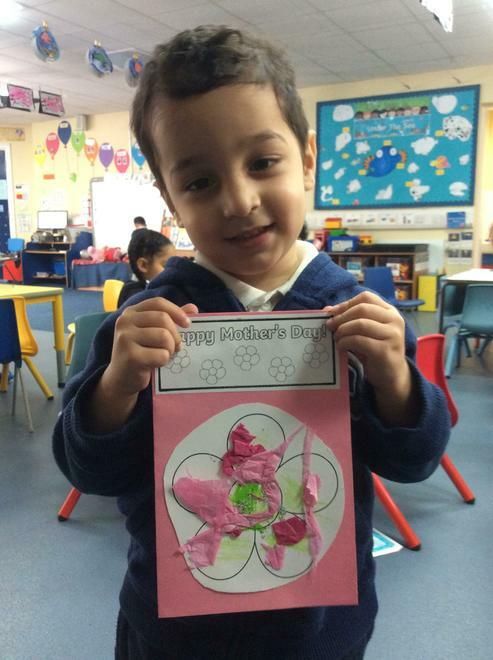 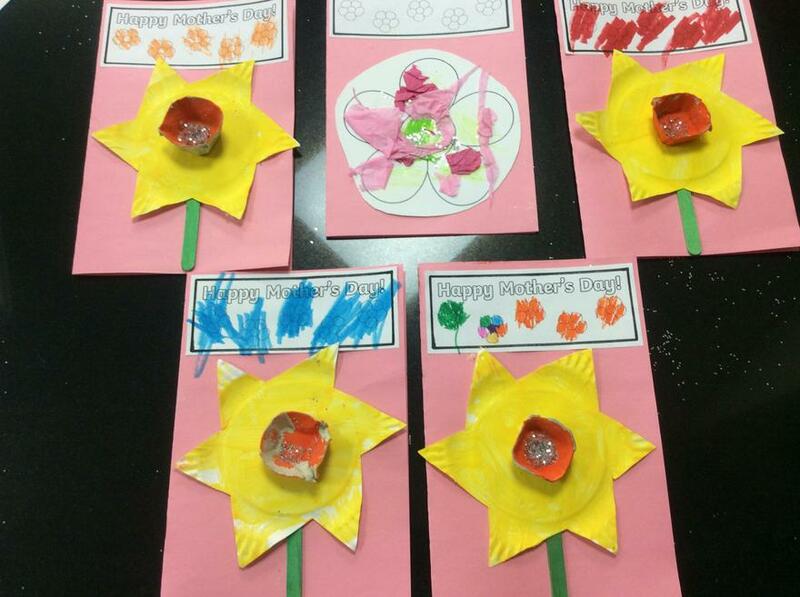 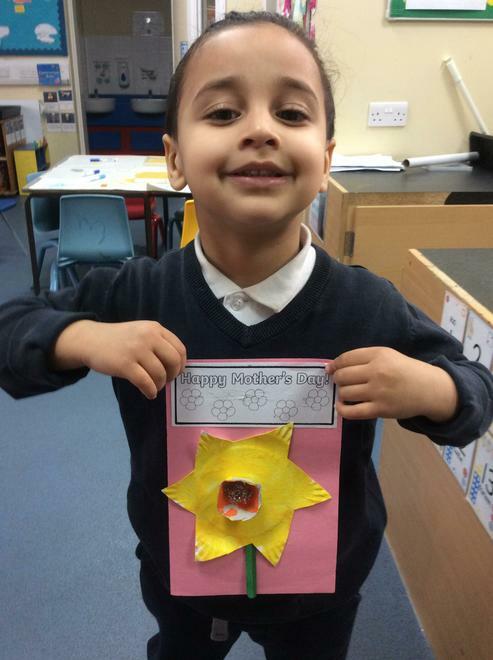 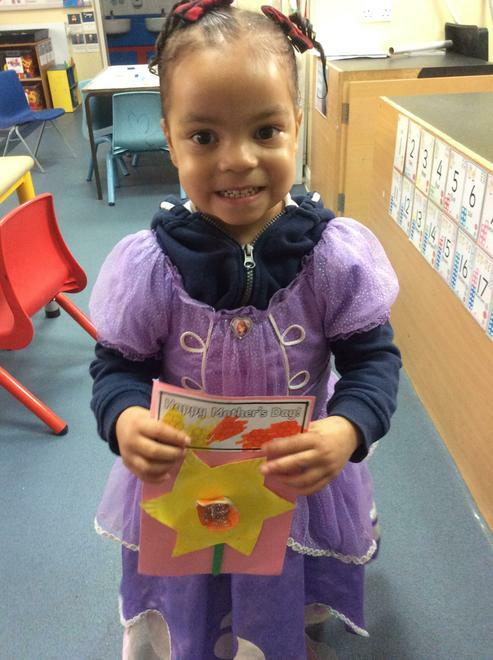 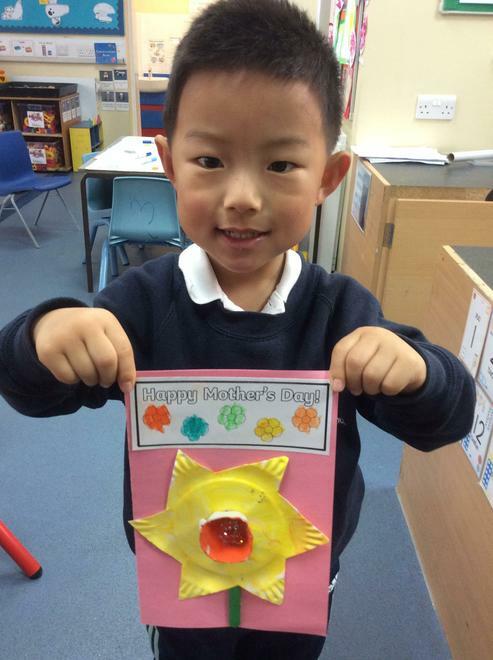 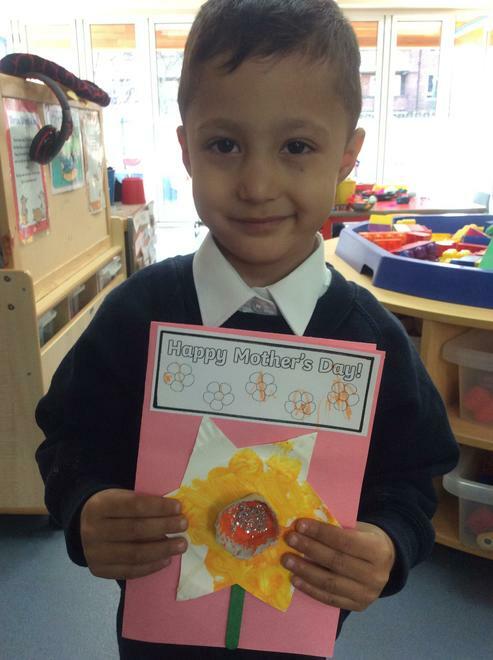 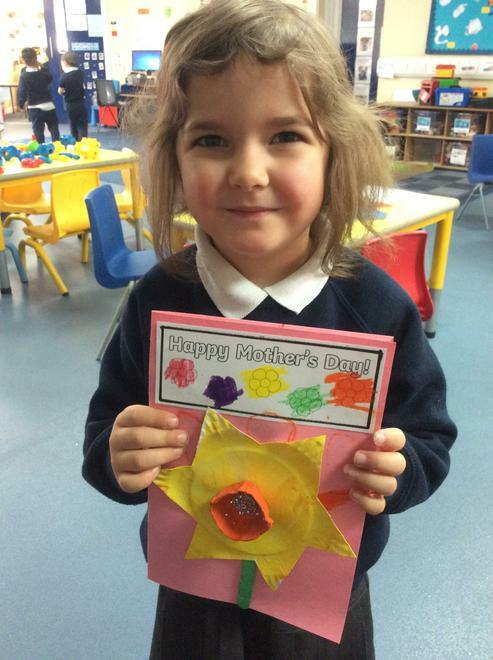 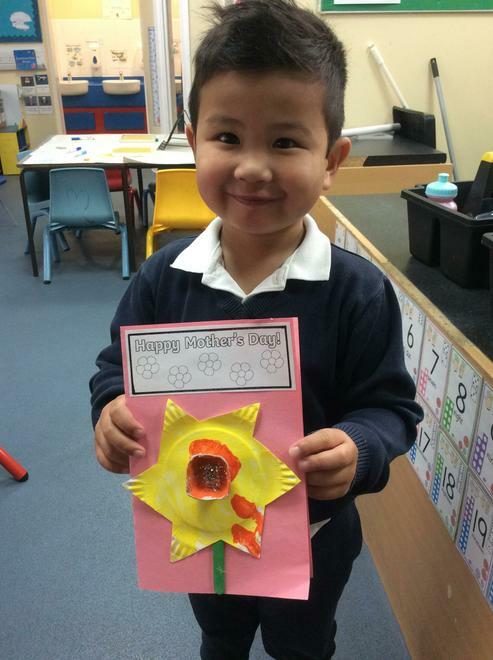 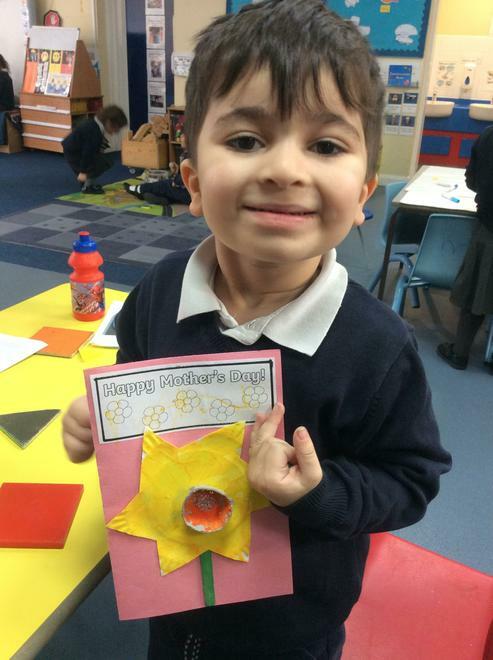 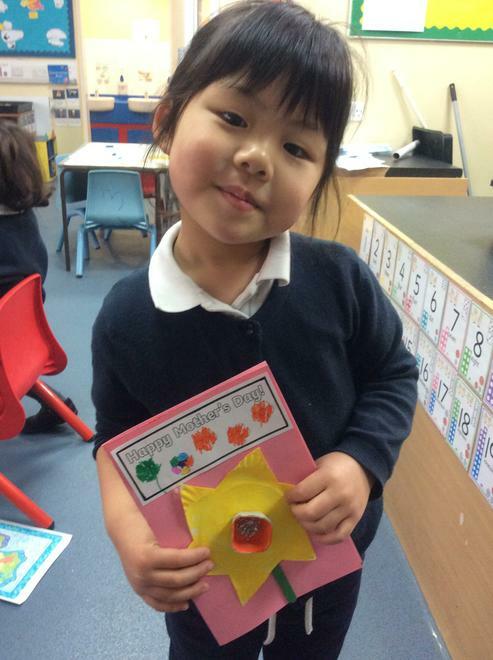 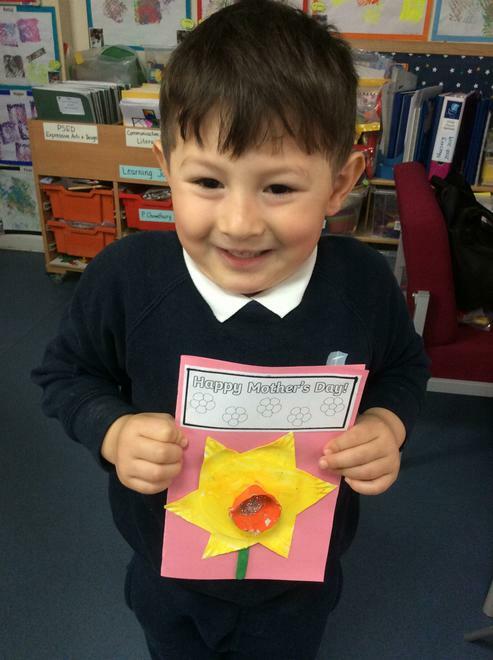 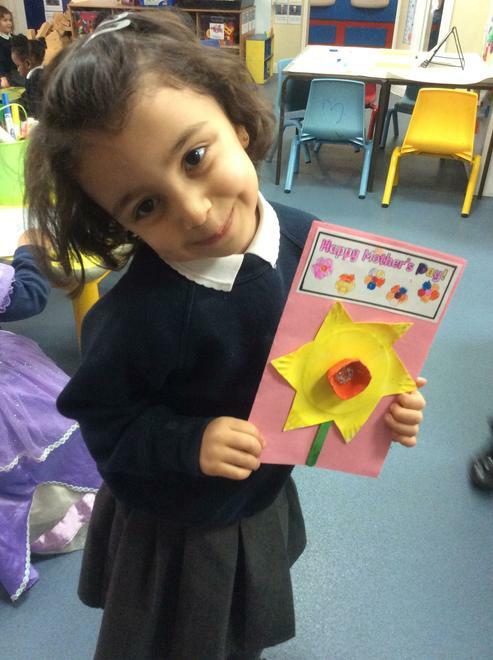 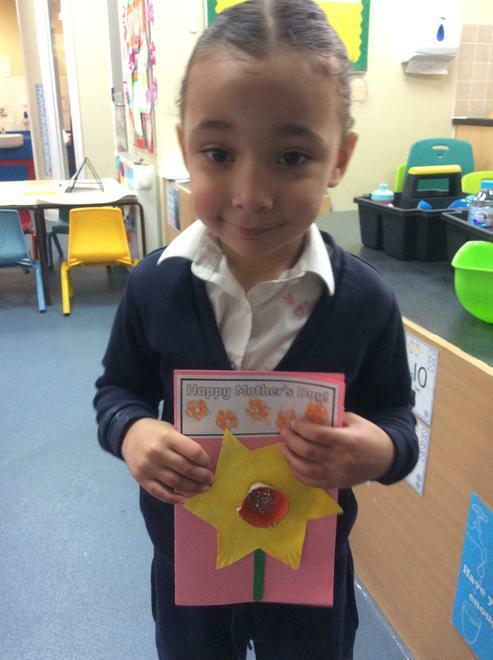 Happy Mother's Day from Nursery! 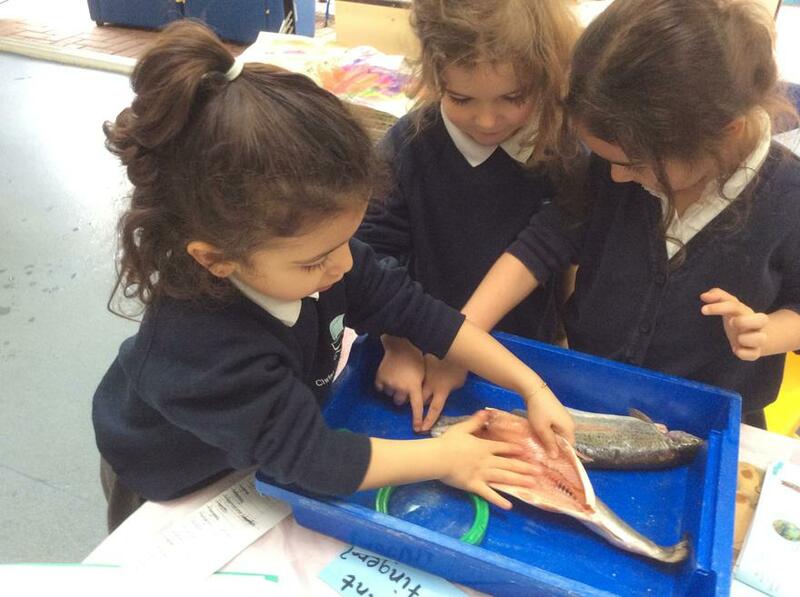 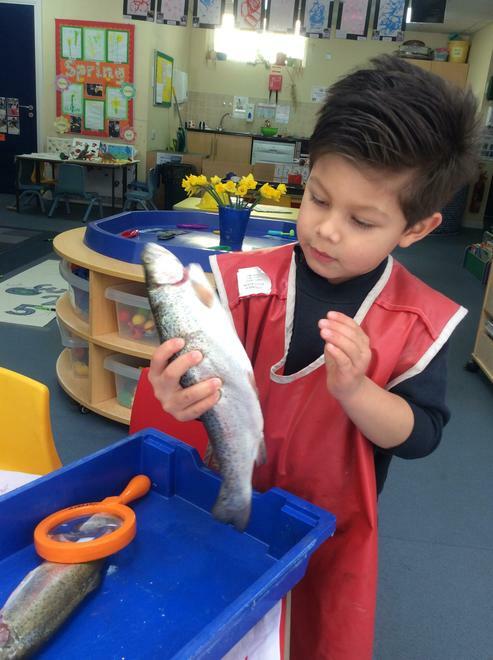 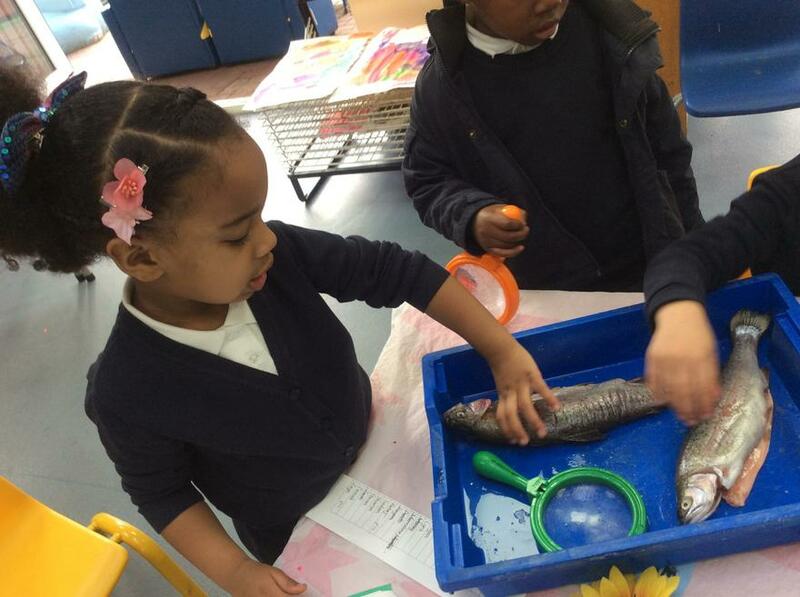 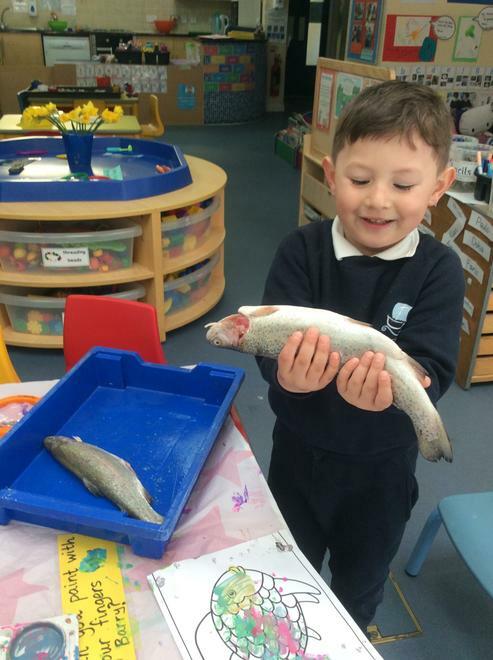 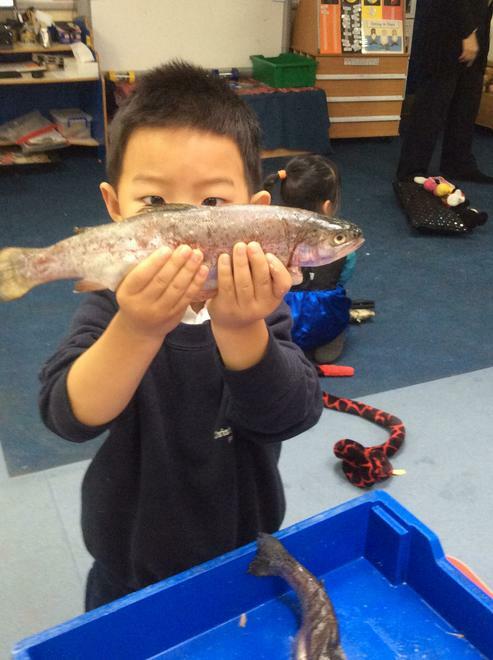 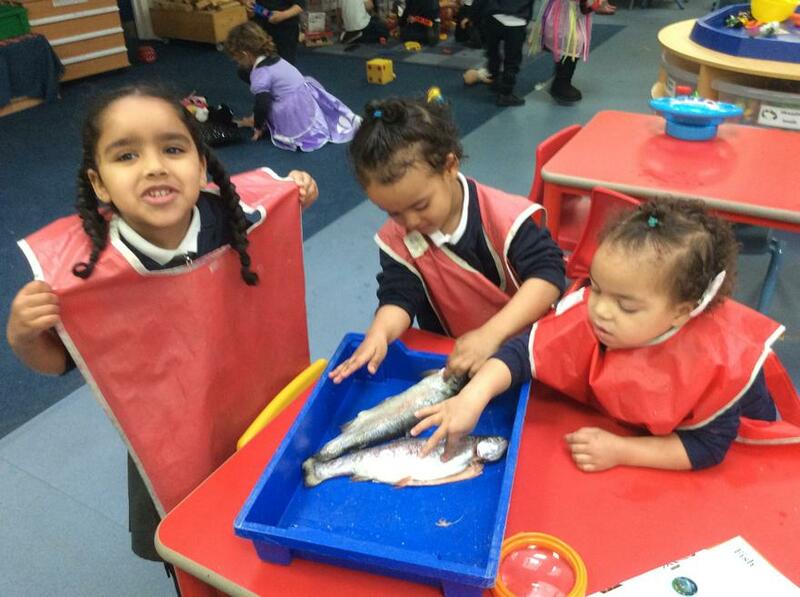 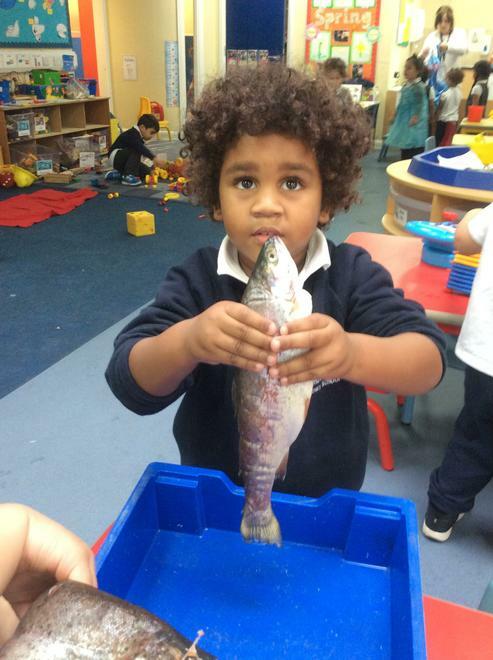 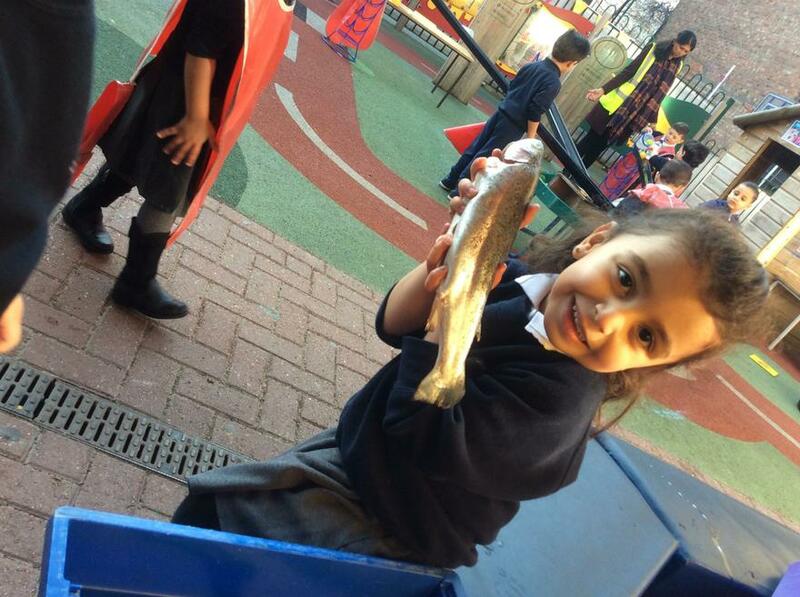 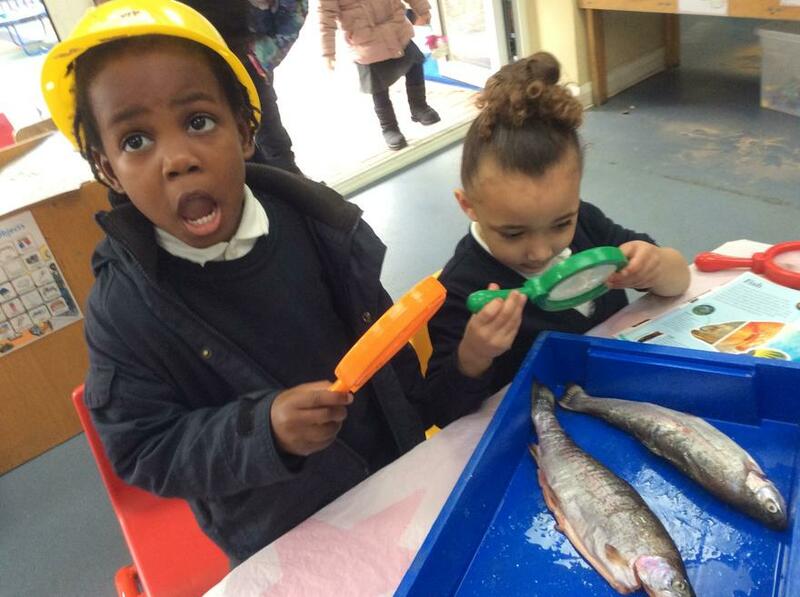 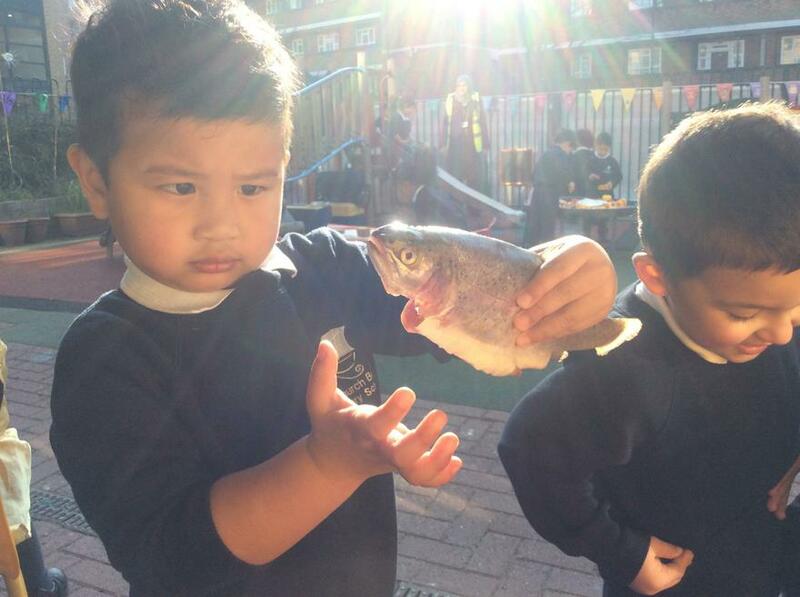 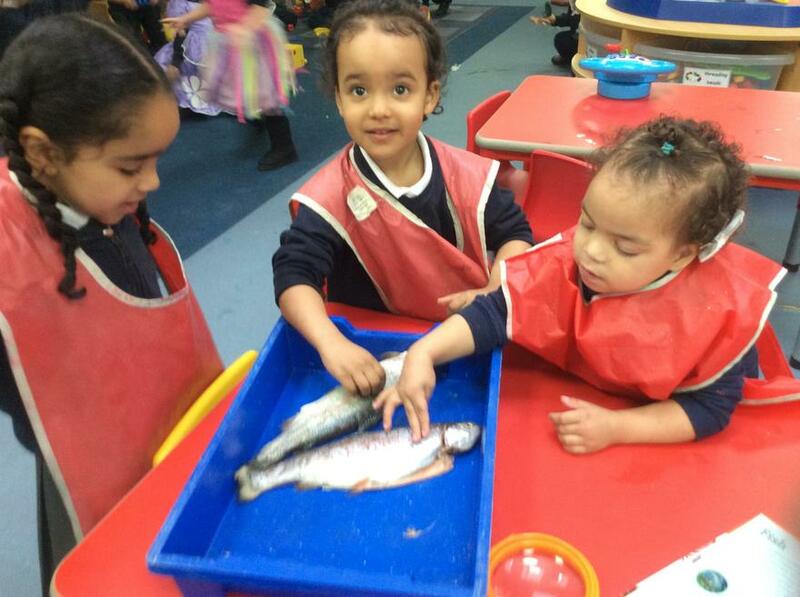 As part of their ‘Under the sea’ topic, Nursery class had the chance to look at and hold a real fish. 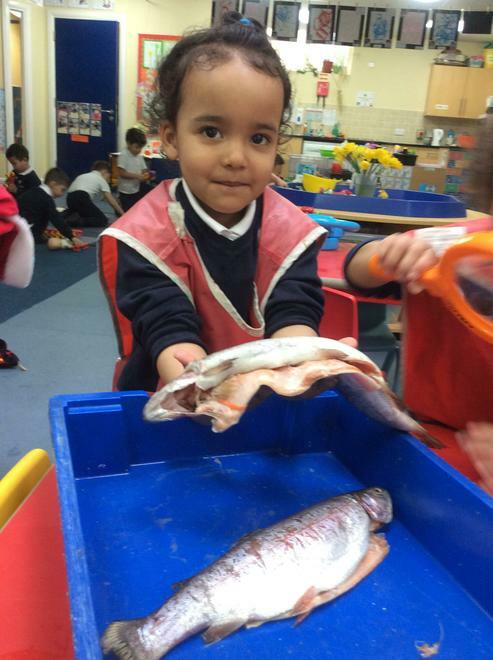 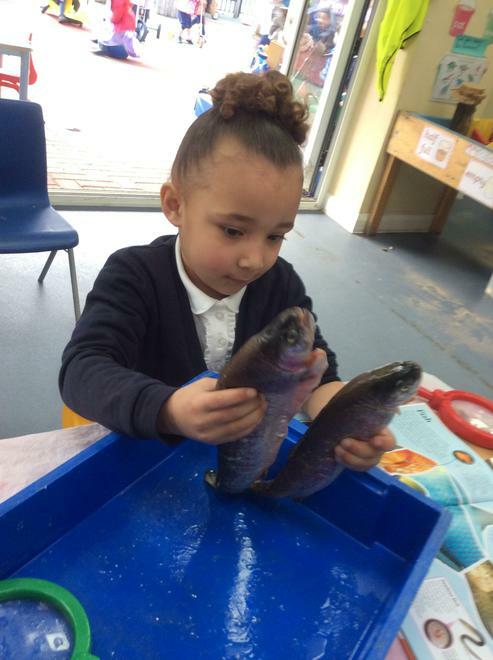 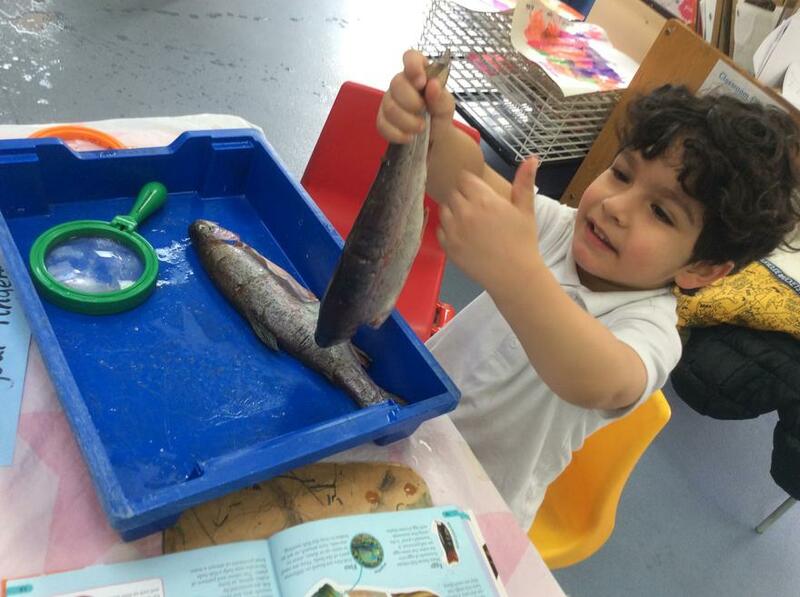 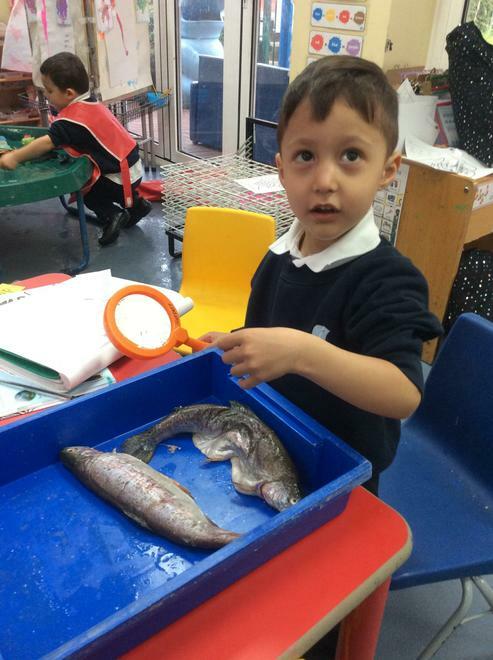 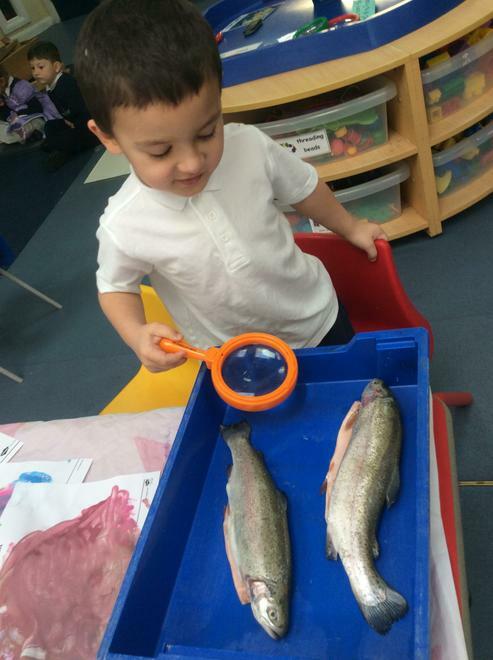 It was lovely to see the children’s confidence grow as they explored the parts of the fish, such as the eyes, mouth, tail, gills and fins. 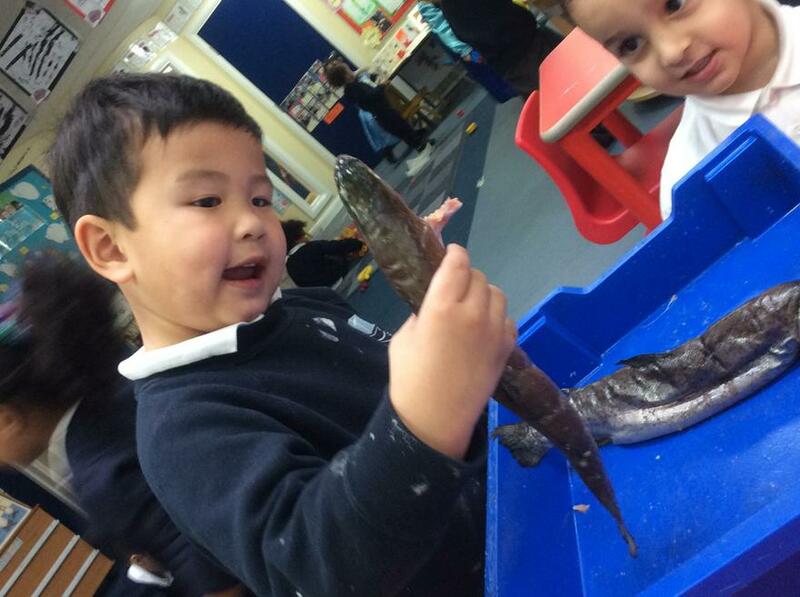 They were very interested in the bones inside and the sharp teeth. 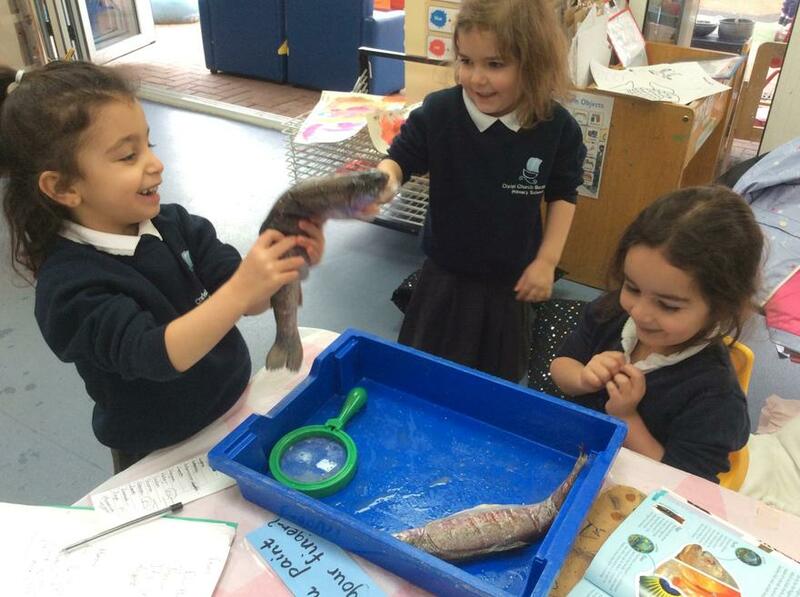 We were very impressed by how inquisitive the children were and the range of questions the children asked: one little girl was adamant in finding out more about how the fish gets oxygen from the water through its gills! 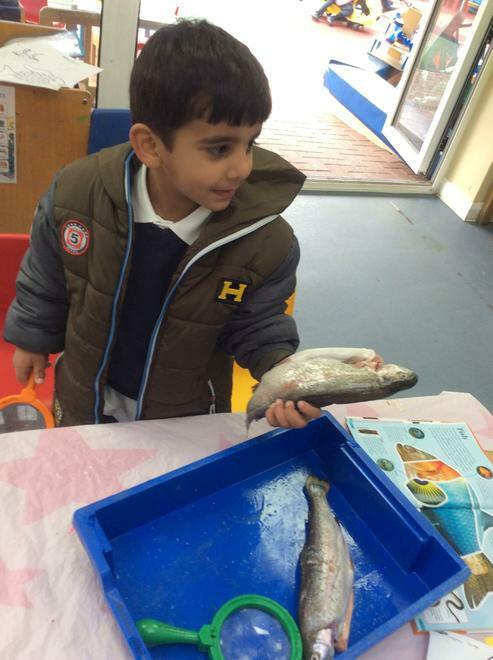 In addition, some children made links with their previous experiences of cooking and eating fish at home. 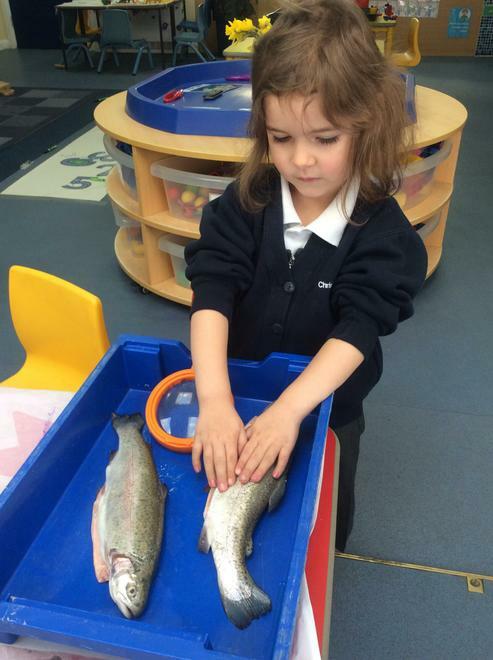 The children also learnt they should wash their hands thoroughly after touching animals. 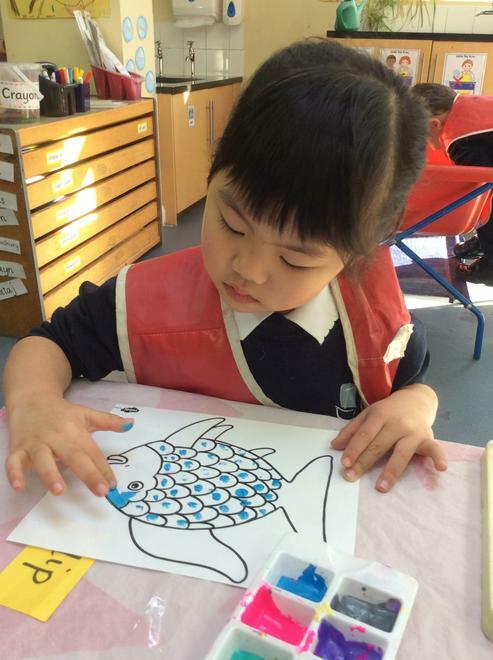 Monday morning 'Stay and Play' sessions. 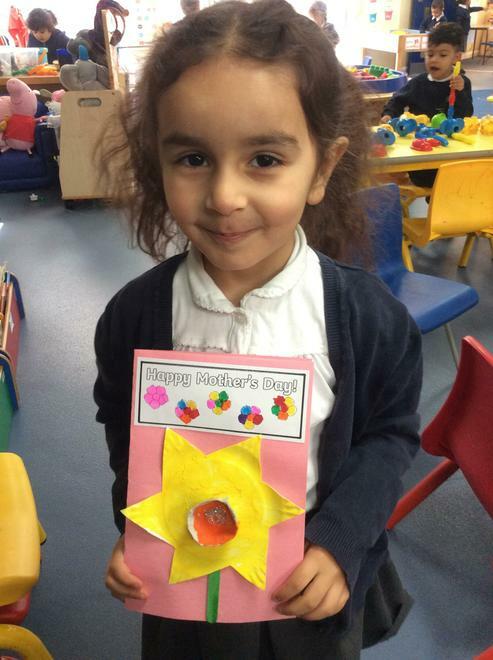 Thank you to all of the parents who have come to play with their children this term. 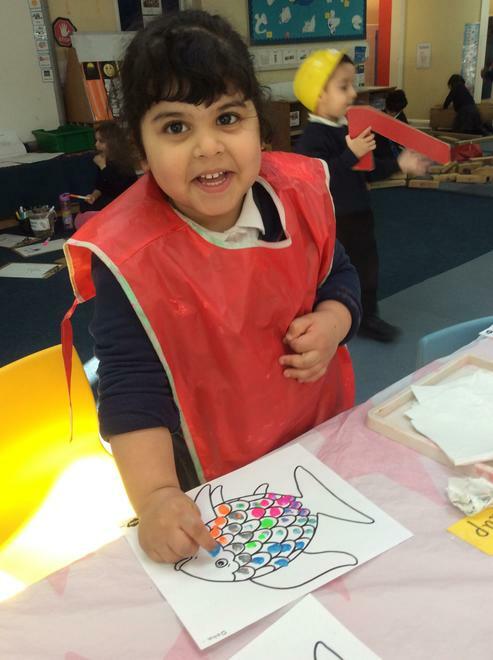 We look forward to many more fun sessions! 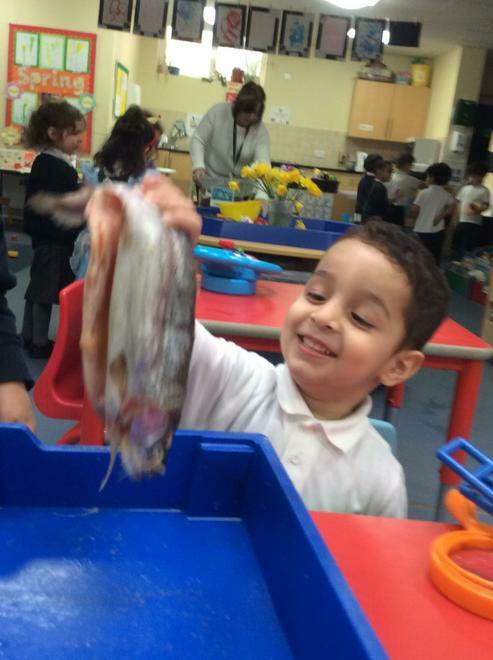 After listening to The Naughty Bus story, Nursery class buttered their toast and tasted beans on toast. 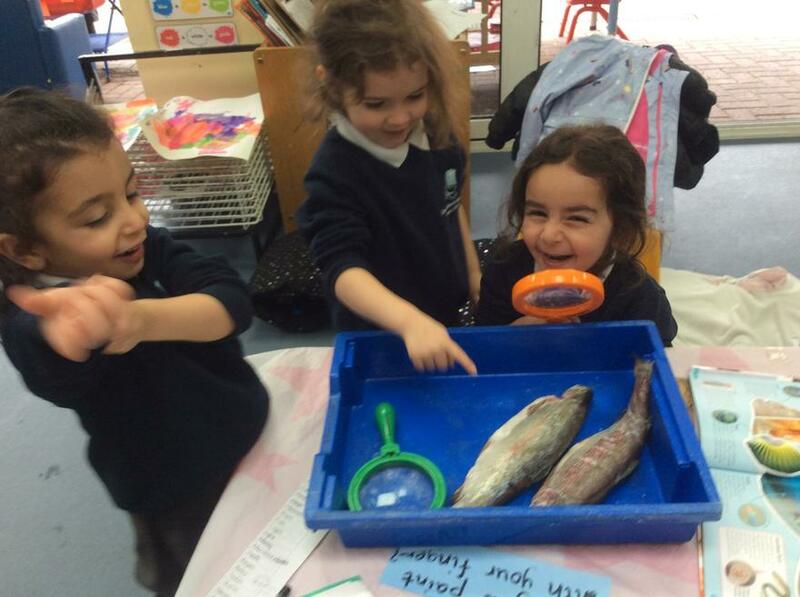 Ben, the dentist, came to talk to Nursery and Reception about looking after our teeth. 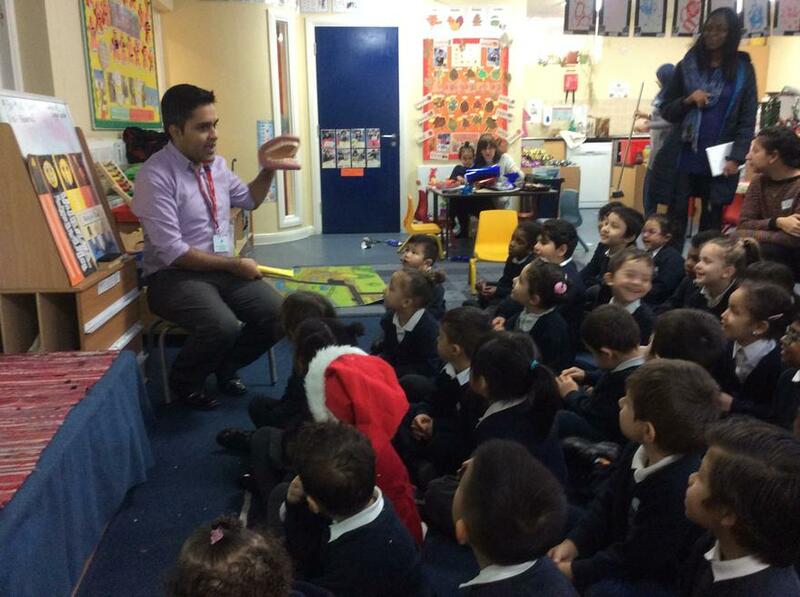 All of the children sat quietly on the carpet and listened. 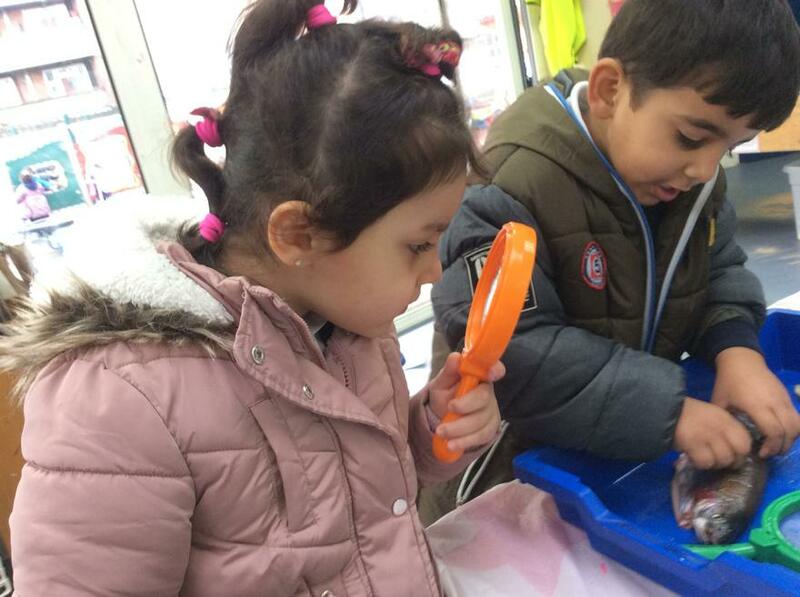 The dentist talked about brushing our teeth with toothpaste, visiting the dentist for regular check-ups and eating healthy food. 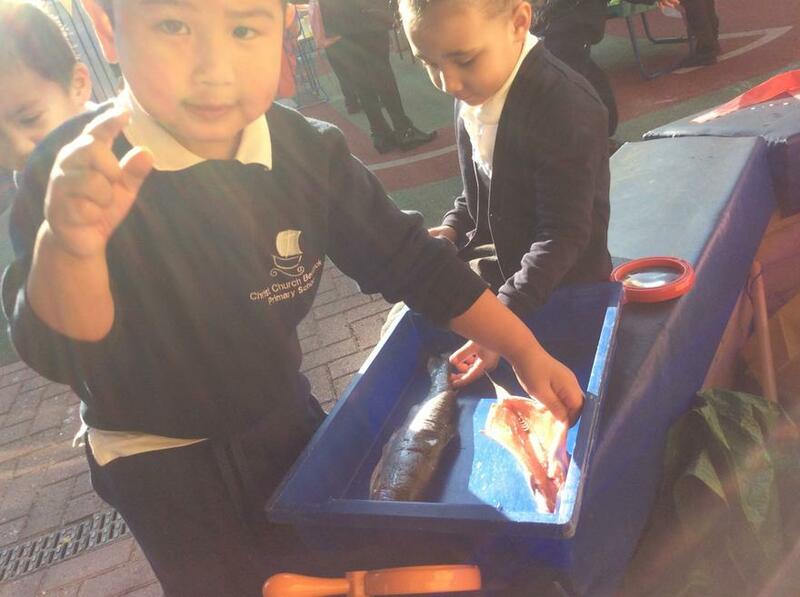 The children also talked about foods which are bad for our teeth.